Are you going on holiday to the Dolomite Mountains in Italy? Would you like to know about the best hiking opportunities that the Dolomites have to offer? Our guide to walking in the Dolomites gives you the facts & information you’ll want to know. The Dolomite Mountains in Italy form a significant stretch of what constitutes the Italian Alps. The Dolomites stretch from the centre of Northern Italy to the borders with Austria and Slovenia in the north east of Italy. This chain of mountains gets its name from the geologist who discovered that these mountains are actually ancient coral reefs from millions of years ago. However, there is no scuba diving to be had in this part of Italy and the main activities on offer in the Dolomites are walking and skiing during the winter. The Dolomites have a plethora of hiking trails of different lengths and difficulties to suit visitors of all ages and fitness levels. The shortest walking trails take about half a day to complete while others require several weeks and venture into the high altitudes of the mountains. 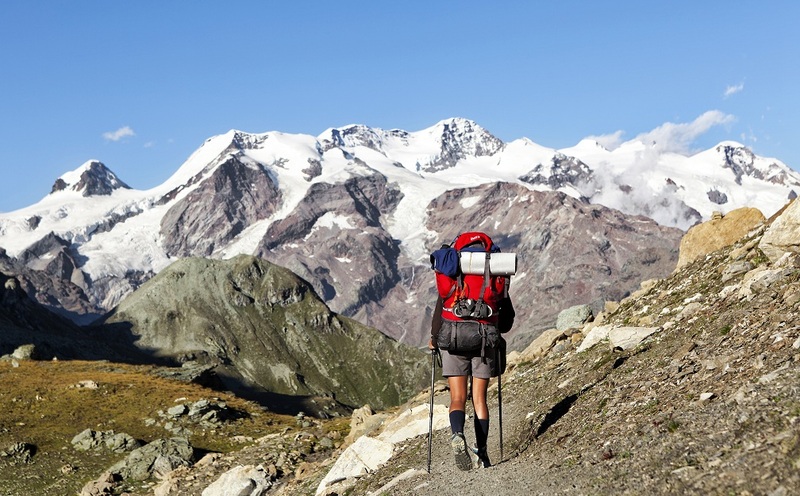 These longer and high altitude walking trails should only be attempted by experienced hikers with a good level of fitness and some experience in mountaineering. Mountaineering equipment such as ropes and spikes should also be taken on these longer walking trails. For the most part, the hiking routes in the Dolomites are well maintained by local authorities and the trails themselves are well marked to prevent hikers getting lost. While there is a good range of accommodation options available in the Dolomites, the higher altitude and more remote regions of the dolomites present fewer choices for accommodation. Provided you plan your hiking route carefully if you intend to be walking for several days, you should be able to find accommodation at a mountain inn which provides basic lodgings and food. Otherwise there are plenty of hotels and smaller hostels in the more populated regions of the Dolomites. Maps of all major hiking trails are available from the local tourist office in Italy which should have a branch in most towns. However, these maps provide little more than outlines of the routes and little information about altitude and land surfaces. Those wishing to embark on some serious hiking across the dolomites should make sure they purchase a detailed map of the area before coming. Guided walking tours of the dolomites are available and run by the local mountain tourist office which should have small offices all over the Dolomites.